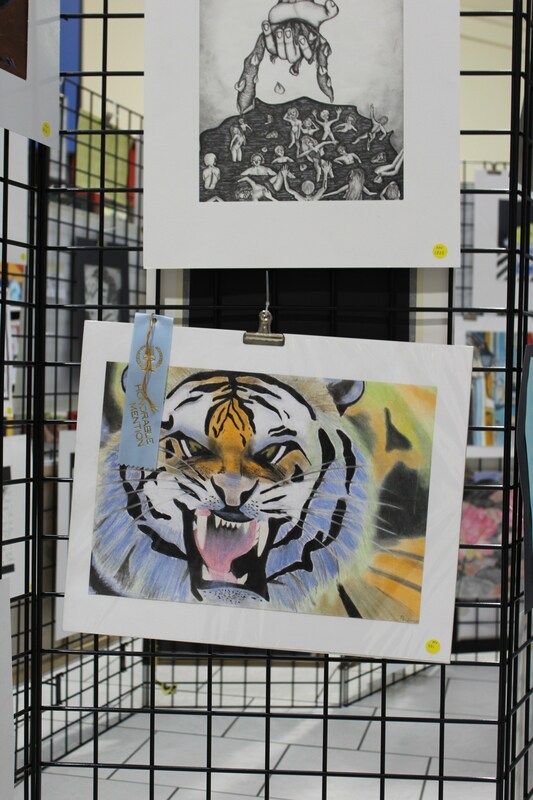 Visual arts are an integral section of our Arts Department. Starting in TK, our students take regular art lessons through the 4th grade. Once they enter Middle School, they can continue in visual art by choice. Mrs. Fredda Payne teaches all of our youngest Spartans about art. 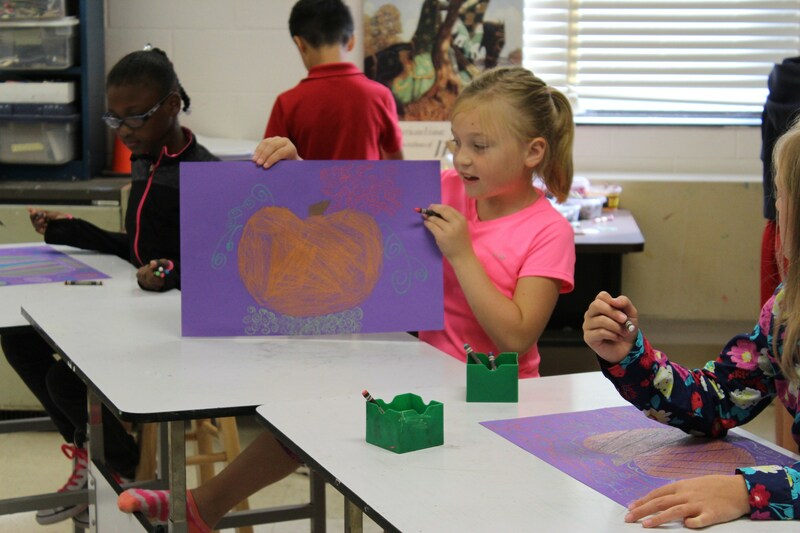 In Lower School, students are taught the basics of art composition, color mixing, and paying attention to what they are seeing. 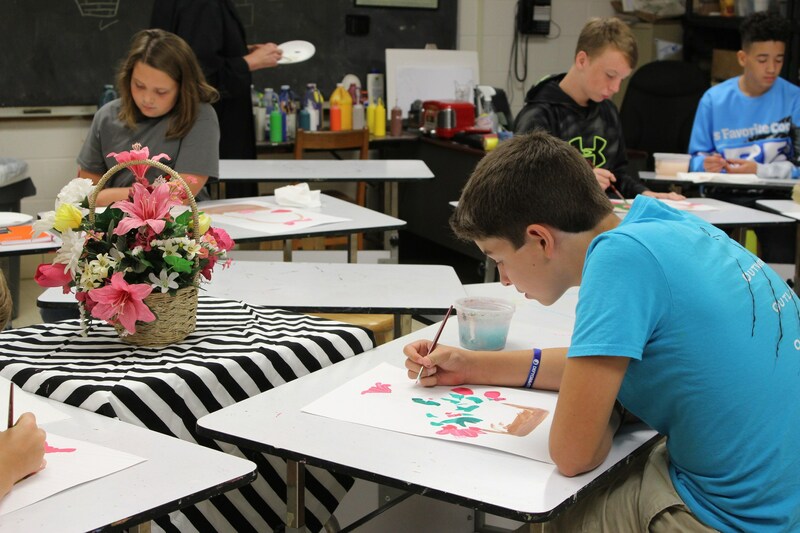 Students learn to use various mediums, such as watercolor, tempera paint, collage, crayon, pencil, and pastels. As students grow, they are assigned projects that instill creativity and imagination, but that are also developmentally appropriate. One of the final aspects of art in Lower School is the beginning of art history. This is taught through analyzing artists' work and projects that correlate with what students are learning in art and in their other subjects. Middle School visual art is taught by Rodney Moser. His philosophy of art is that it is innate to mankind; he believes anyone can learn to create art. Middle School art students will spend their time experimenting with many graphic art mediums, such as drawing, scratchboard, pastels, and printmaking. Students are expected to bring in their own reference materials; if they are not working on an in-class still life, they will be working from their own reference pieces. Students are expected to complete 3 projects per trimester. Mr. Moser's class is run in the same style as a collegiate-level class. 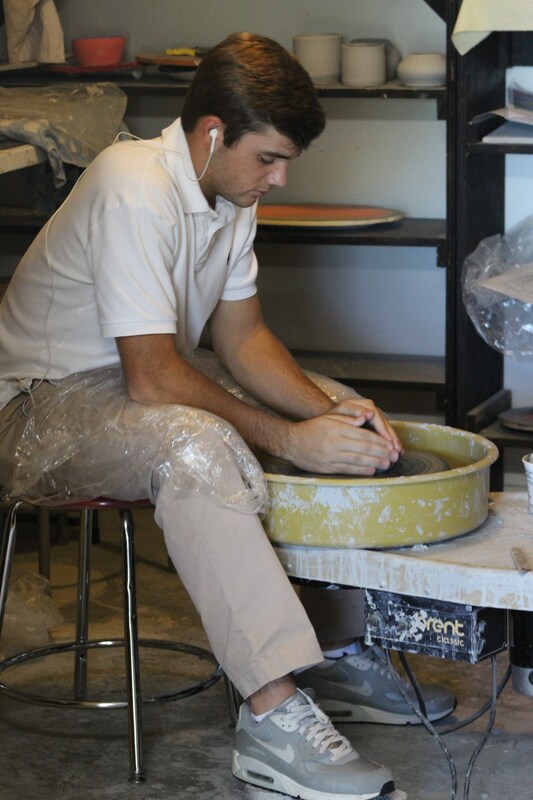 In the Upper School, students can take visual arts (painting and graphic mediums) or pottery and clay sculpture. Both courses are taught by Mr. Moser. The visual arts class is run very similarly to the Middle School visual arts class. Students are expected to work from their own reference work and complete 3 projects per trimester.Mr. Moser's class is run in the same style as a collegiate-level class. More advanced students have the opportunity to take two more diverse art classes in Upper School: Watercolor and Pottery. In watercolor, students spend the first few weeks mastering the techniques of the medium. Following technique training, they begin working from observation and photos. They are required to complete one piece per trimester. In pottery and clay sculpture, students learn to create pottery vessels using the 3 hand-built methods and the wheel. They also learn about different glazing techniques and their benefits. 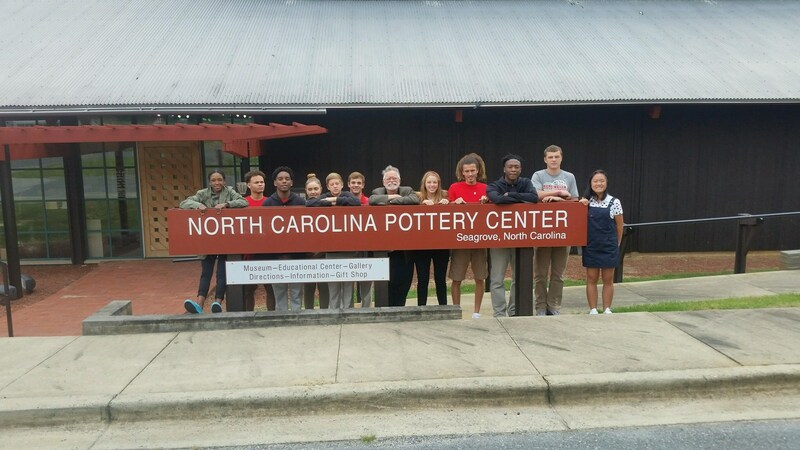 Students in pottery are expected to complete 6 pieces over the course of a year. All art classes go on curriculum based field trips when the opportunity arises. 16 pieces by TBS students placed in a local art show.